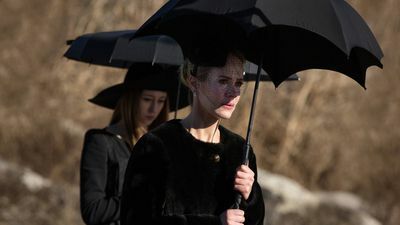 Here's where to watch every episode of American Horror Story season 3. Mouseover or tap an episode to see where to stream it. Click or tap the play icon to stream it on the best available service. Bitchcraft Oct 10, 2013 A young girl discovers she possesses a strange genetic affliction tracing back to the dark days of Salem; Fiona Goode returns to town. Boy Parts Oct 17, 2013 Fiona helps Zoe and Madison deal with a horrible tragedy; Delphine LaLaurie struggles to adjust to modern life; Cordelia faces a dark decision about her family. The Replacements Oct 24, 2013 Fiona takes on an unlikely protégé; a guilt-ridden Zoe tries to give Kyle his old life back; Madison has a fiery exchange with Joan Ramsey. 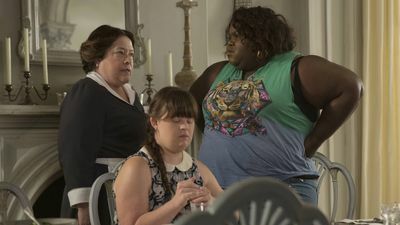 Fearful Pranks Ensue Oct 31, 2013 Fiona's choices rattle a decades-long truce between the Salem witches and Marie Laveau; the Council of Witchcraft pays a surprise visit to the academy with disturbing allegations. Burn, Witch. Burn! 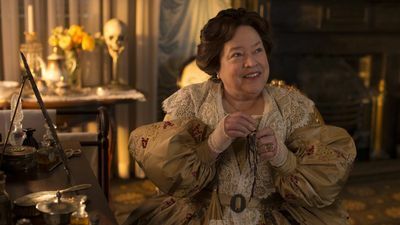 Nov 7, 2013 Besieged by Marie Laveau's army, Zoe unleashes a new power; Fiona and Myrtle clash over control of the coven; Madame LaLaurie is confronted by old ghosts. The Axeman Cometh Nov 14, 2013 Zoe, Queenie and Nan make contact with a dark spirit trapped in the academy; Cordelia's new power brings on a heartbreaking revelation. The Dead Nov 21, 2013 Fiona finds purpose in a dangerous love affair; Queenie questions her place in the Coven; Cordelia makes a decision about her mother. The Sacred Taking Dec 5, 2013 Cordelia rallies the girls in the fight to stop Fiona; a dangerous new enemy puts Misty in the cross hairs; the rivalry between Marie Laveau and Delphine comes to a head. Head Dec 12, 2013 Cordelia’s attacker is revealed. Fiona looks to form an alliance with Marie Laveau. Nan learns a disturbing truth about Luke’s past. The Magical Delights of Stevie Nicks Jan 9, 2014 Fiona attempts to out the new supreme with a visit from Stevie Nicks; Cordelia learns the truth about Hank and the witch hunters; Madison tries to eliminate her competition for the supremacy. Protect the Coven Jan 16, 2014 Fiona and Laveau have a deadly face off with The Corporation; Cordelia makes a desperate sacrifice. 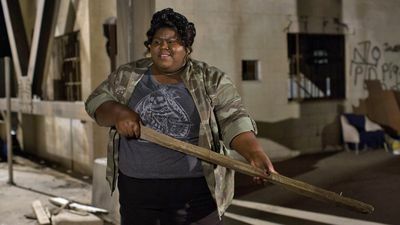 Go to Hell Jan 23, 2014 Cordelia's latest vision puts the coven's future in question; the girls manifest powerful new gifts; Queenie's search for Marie Laveau leads her to hell and back. The Seven Wonders Jan 30, 2014 A new Supreme rises.